A picture taken a year ago during one of our monthly dinners. Many years ago, I learned that support groups were beneficial. There were definitely some aspects that weren’t pleasant, but the connections I formed from my willingness to find people with similar circumstances have stayed with me. 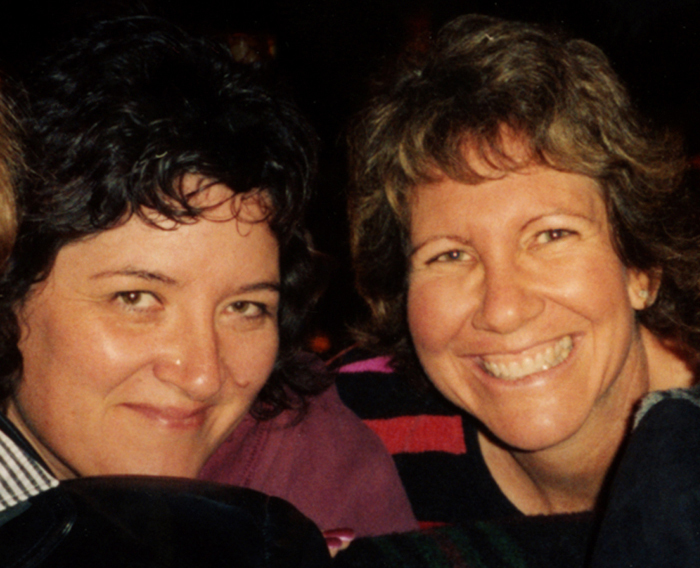 Ten years ago, I participated in a weekend retreat called “Healing the Mother’s Heart. At that time, I was struggling with challenges related to my children. I met a wonderful group of women after that weekend. I came home with a roster and somehow I ended up becoming the planner for our first reunion. At that time, I was excited when I discovered how to create my first email group on a computer. There were twenty women at our first dinner, and we even passed out nametags for that first gathering. Gradually, the group shrunk and by then we all knew each other’s names. It was incredible that after ten years, our group continued to meet every month. My friendship was solid with the 6-8 women who remained. There were beautiful memories formed when we occasionally went away for an entire weekend. We all cherished the respite from our stressful lives and watched our children grow up over those ten years. Of course, there were challenges faced by all of us, but none seemed as disheartening as Marilyn’s current struggles. For over two years, she had battled perplexing health issues. Most of them seemed to be related to a thyroid disorder; and she was quite a trooper. But then came a diagnosis that was horrifying. She said that it helped her to make sense of the myriad of symptoms she had suffered with for so long. She had bone cancer, multiple myeloma. Within a month, she could hardly walk because the bones in her hip had significantly deteriorated. I wanted to make sure that Marilyn was at every dinner. Because she could not drive anymore, all of the dinners were planned close to Marilyn’s home. She lived half an hour away from everyone else. 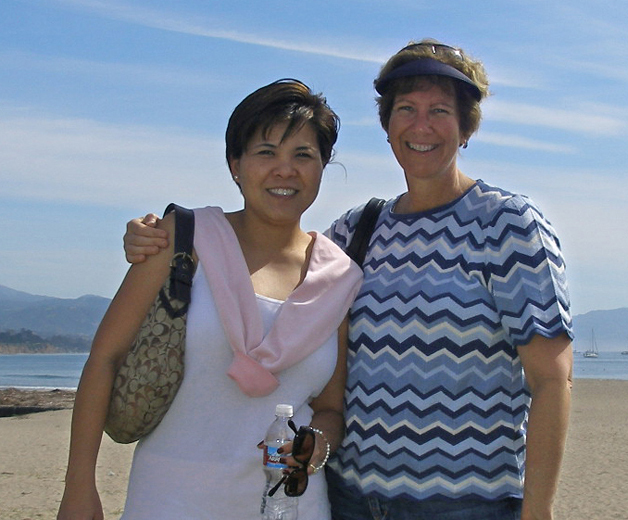 I often carpooled to those monthly dinners with another upbeat mom named Lynn. My friend and I worried so much about Marilyn, and often looked for ways to lift Marilyn up. Last weekend, things really did not bode well for our group. I received a text message from Lynn that her husband had been diagnosed with an aggressive form of cancer. It was unbelievable and shocking. Her 42-year-old husband was a picture of health. He had no symptoms, other than a small lump on his neck. Right away, she knew “carcinoma” told her it was serious. Lynn told me that looking up his form of cancer on the Internet showed a very bleak prognosis. I visited Lynn’s hotel room later on that night. Her husband had openly cried earlier. Their two young children were very quiet and subdued. My friend was in a place of horror. Within a moment her life had changed forever. The complacency of living without fully appreciating one’s health can evaporate in an instant. Her husband mentioned that his chest had been hurting; his face was ashen and contorted with worry. The scan would be on Wednesday and results were not expected until later in the week. He would need surgery and possibly lose part of his tongue. It would be very painful. The primary tumor might not even be found, and if that happened – it would not bode well for his chances of survival. Telling my friend or her husband not to worry seemed useless. I could not know at all what they were going through. So during that weekend get-away, I held Lynn’s hand and listened. 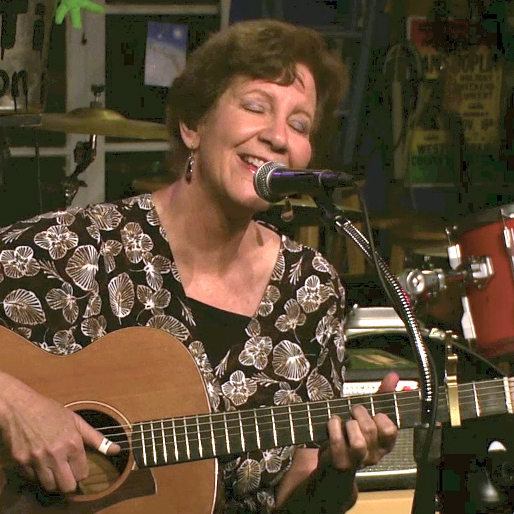 She and her husband disappeared for an hour while I stayed with their two children and practiced my guitar. She wrote that she would wait until the following month. My friend decided to call a facilitator of the group to find out more information. She was elated to discover that the meeting she might have missed was a special night with a guest who would discuss the benefits of diet for cancer patients. Lynn sent me a message thanking me and said she would take me up on my offer to go with her. It was a topic she definitely was interested in. On Thursday, we had our monthly dinner. Marilyn used a walker instead of crutches. Marilyn had been in the hospital the week before. But that night, she looked radiant and relaxed. She was my hero and inspired me to live every day of my life with joy and appreciation. Lynn then broke the news to all the other moms. Her husband had his scan on Wednesday and the doctor called back that very same day. The primary tumor had been found and it was on her husband’s tonsils. Although it had spread to a few lymph nodes, there were no other tumors found. His brain and lungs were clear. It was so touching when she shared that her coworkers, who were all struggling teachers, had pooled money together to buy her a $400 juicer. 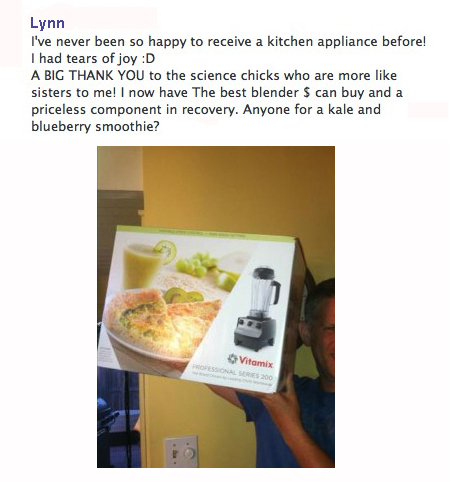 My friend’s passion for creating healthy smoothies to cure her husband, extended to bringing another blender in a box to give Marilyn. With it, she included many recipes. Prior to our dinner, she poured a smoothie for Marilyn, which she had prepared before leaving. Lynn’s husband is holding his new blender. Lynn and Marilyn didn’t see me wipe tears away from my eyes during our dinner. 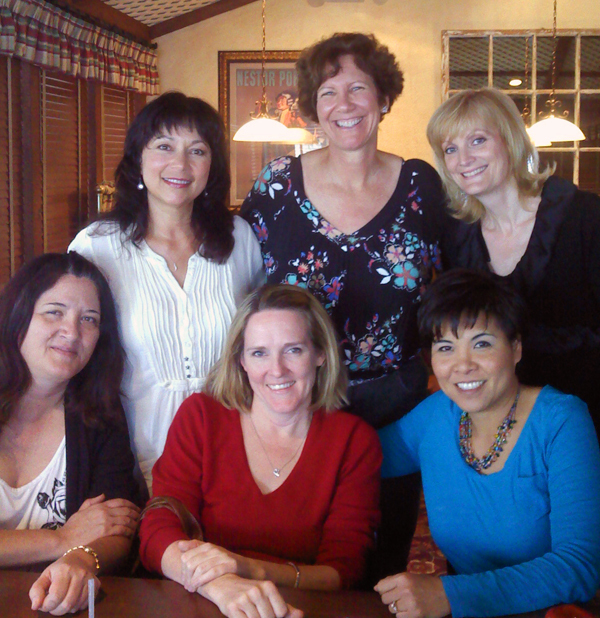 I prepared myself to attend an oropharyngeal cancer support group a few days later. This picture was from a weekend get-away that was seven years ago. Thank you so much for sharing your beautiful writing with me. I am so moved by your telling of this very special group of women, which YOU have been so instrumental in keeping together. These connections are precisely what I hoped to prime when doing the retreat. I am also so very sorry to hear about Marilyn and Lynn’s struggles. Please give them big hugs for me. Do you have mailing addresses for them? I know that the decision you have made to divorce has not come easily. You are embarking on a new chapter of your life. I wish you all the best and I know you will always be sustained by your friendships, your music and your writing. You are a very brave, loving woman. Thank you sharing with me. My title for this post was written to convey the shock – when life goes from being normal to becoming a horror. 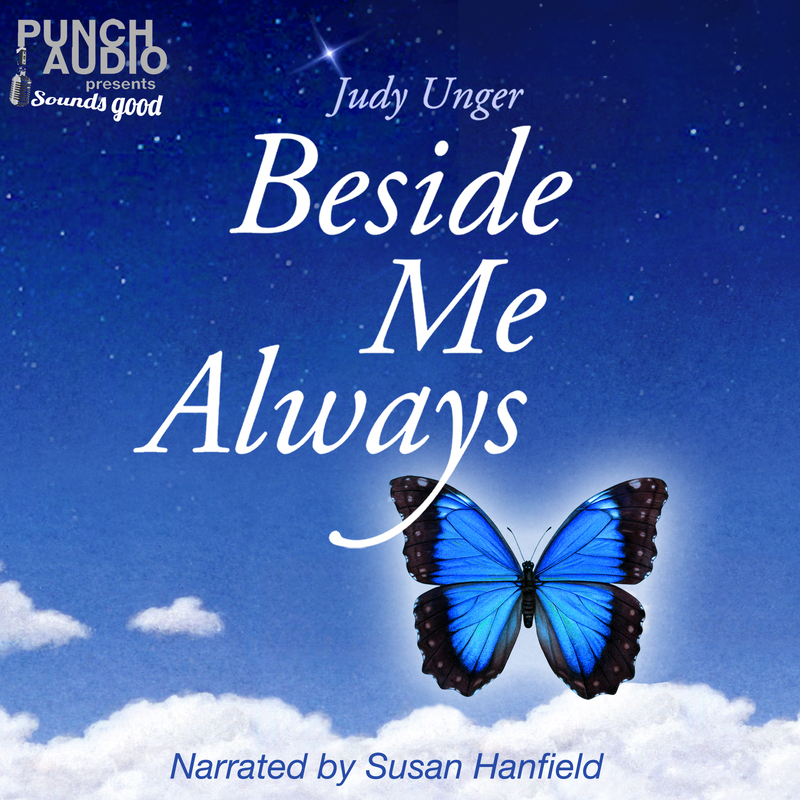 Those words are a lyric line from my song “Saying Goodbye,” and express the feelings I had after my child died. I am adding this update to my post from three years ago. I realize that anyone reading this older post might wonder what the outcome was for Lynn’s husband and my friend, Marilyn. Marilyn did well for two years and this past year she has taken a turn for the worse. Her bone cancer has wickedly returned and she is trying new and experimental drug treatments at this time. 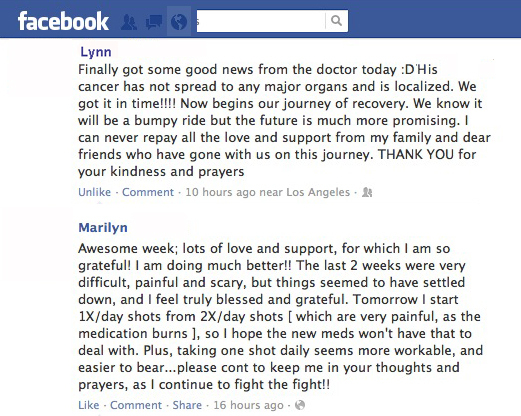 I can share that Lynn and her husband are celebrating that he has been in remission for two years now. His odds for survival continue to get better with the passage of time. Her husband is back in shape now, although he cannot run like he did before. His taste buds and salivary glands are impaired and the effects from his treatment are permanent. But both he and Lynn are so grateful for his survival despite this. During his treatment, Lynn stepped up to make a huge decision. Her husband was wasting away because he had great difficulty swallowing due to radiation near his throat where the tumor was. He had lost 60 pounds within a few months and could not even sit for a few minutes without falling down due to his weakened condition. Lynn told him to agree to a feeding tube or she would have to fight to get a court order for one. He weakly agreed and that night she called his doctor to set up the procedure quickly. She is certain that feeding tube saved his life. Even though the horror of his chemo treatments and radiation seem to be in the past, Lynn would easily admit that life would never be the same as it was before cancer invaded their lives. This entry was posted in Uncategorized and tagged beautiful memories, cancer, close friendship, Daily Life, friends, Friendship, health, inspiration, loss, multiple myeloma, Ordinary Life, oropharyngeal cancer, support, support groups, tonsil cancer, writing. Bookmark the permalink.